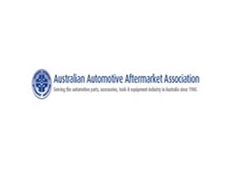 The Australian Automotive Aftermarket Association (AAAA) is a peak national body that represents the interests of the automotive aftermarket industry before Federal, State and local governments and other regulatory bodies. The automotive aftermarket industry deals specifically with the manufacture, remanufacture, wholesaling, distribution and retailing of all vehicle parts, accessories, tools, equipment and services, except those products that are used in the manufacture of original equipment. The AAAA plays an important role in the recognition, development and support of this industry, while providing a range of different services for members. also deals on car hire. The AAAA also hosts the biannual Australian Auto Aftermarket Expo, which alternates between Melbourne and Sydney, and provides the industry with the opportunity to showcase its products and services. The next Australian Auto Aftermarket Expo is to be held 11 - 13 April 2013 at the Sydney Exhibition Centre, Darling Harbour. Member companies of the AAAA are eligible for a substantial discount on floorspace. The main channel for communication between the AAAA and members is the Association's magazine, Australia Automotive Aftermarket. Delivered free to all members, this industry publication collects the latest and most important information on subjects relevant to, and of interest to, the industry. AAAA members are given further opportunities to exchange information relating to their industry through regular informal state member forums and breakfasts, which are held regularly throughout the country.